The days are getting longer, the temperature is rising and suddenly it is summer. One of the best things you can do in Germany during the warm season is to visit a beer garden, especially when you are somewhere in the south of the country. 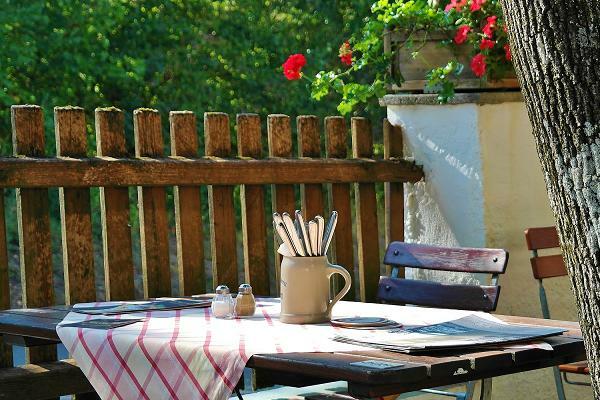 Especially in Bavaria, you can not only see clichés become real, but also have some refreshing beverages and a traditional, yet timeless experience of “Gemütlichkeit”. You can find Biergärten all over the country, but the real ones are more to be found in the southern Bundesländer of Bavaria and Baden-Württemberg, just like their origin. The history of those beer gardens is tightly bound to the history of brewing. Thus, a bit of previous knowledge is important. In the 19th century, there was not such a wide variety of beers like you can find today in Germany, mostly because of the lack of cooling techniques. The most common beer in Munich, the capital of the Kingdom of Bavaria, was thus the Märzen (from März = March). It is a bottom-fermenting beer (untergärig, the opposite of obergärig), one of the two basic kinds of brewing according to the Bavarian purity law. In this sort of beer, the brewers use a particular kind of yeast – a yeast that only ferments at temperatures between four and eight degrees Celsius for brewing. Therefore, the beer could not only just be brewed in the winter months (until the end of March), it was also hard to store it during summer: It hat to be stored cool to stay fresh. To do so, the brewers used deep cellars. On top of those cellars, they planted chestnut trees that shaded the light to increase the ability to cool the precious brew and, at the same time, do not damage the vault with their flat roots. Soon, some of the brewers got an idea: They sold their beer just out of the cellar and also placed some simple chairs and tables just under the shady trees on top of them where the thirsty customers could sit and enjoy their beverage. Because the other pub-owners protested, King of Bavaria Maximilian I. proclaimed in 1812 that the master brewers could sell their beer and also some bread, but no other meals. Out of this fact, people were allowed to bring their own “Brotzeit” (a traditional snack) to enjoy with their alcoholic drink. That’s why even today it is a maintained tradition that it’s allowed to bring your meal to the Biergarten (but of course not your drinks). Outside of Bavaria, this tradition is in some places uncommon and especially in beer gardens that are part of a restaurant or a pub it’s sometimes not allowed to do so. So better ask or just observe other visitors before unpacking your sandwich. Today, there are numerous beer gardens, also outside of Bavaria, thus you will find the real traditional ones mostly in this Bundesland. Especially in Munich, there are several well-known Biergärten, for example at the Hirschgarten-Park where you can experience the right kind of Bavarian Gemütlichkeit. They are still very common places to be in summer and also to meet new friends because of their long tables where it’s not unusual to sit with strangers and enjoy a Maß or a Weißbier. Most of them are also offering traditional dishes in self-service if you have forgotten to bring your own. Of course, you can also get non-alcoholic drinks there. So don’t miss out on having an authentic time beneath one of the chestnut-trees.